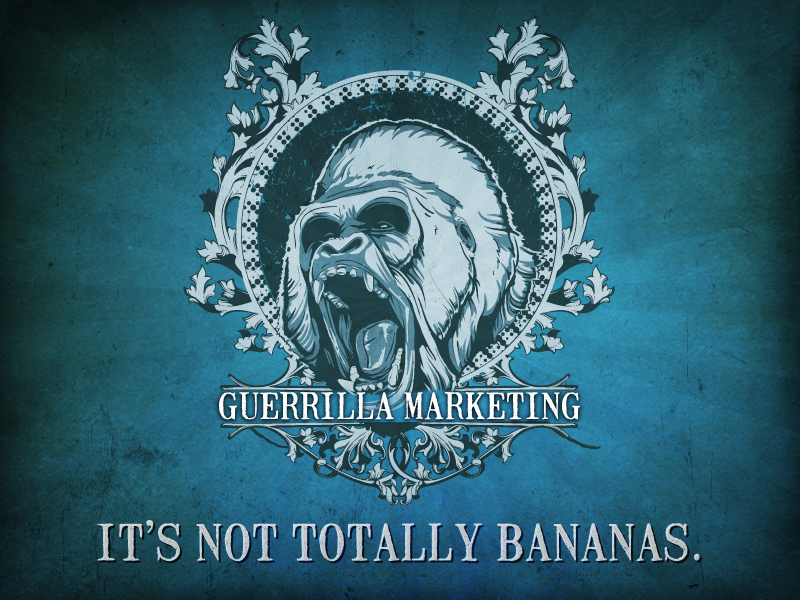 Guerrilla Marketing: It’s not totally bananas. The purpose of guerrilla marketing is to generate buzz. In the marketing world, buzz translates into word of mouth and that is exactly what influences purchasing decisions. According to the Word of Mouth Marketing Association, the average person mentions specific brand names 60 times per week in both online and offline conversations, and 66 percent of brand conversations are mostly positive. Imagine you’re on the second floor at your local mall and you decide to hit the lower level stores on your way out. As you take your first step on the escalator, you look down and notice the mall’s main floor is tiled with a colossal golden retriever scratching its forehead with the back of its foot. Next to the dog it says, “Get them off your dog. Frontline.” You immediately realize that all of the people walking around look a lot like fleas and ticks. Now, when your four-legged friend starts bringing fleas around, you remember the brand that made an impression. A great impression. Thoughtful, yet simple, marketing ideas are exactly what make your brand easy to notice, recognize, recall, and ultimately buy your product. The concept relies on personal interaction, time, and imagination. What’s incredible about this unconventional way of marketing is the number of people you’re able to reach. One example of successful guerrilla marketing is the 1999 American psychological horror film, The Blair Witch Project. Five graduates from the University of Central Florida Film Program used social media tactics to spread word about the documentary they were filming. The documentary was packed with tormenting footage that was found one year after three film students disappeared in the woods of Burkittsville, Maryland. By April 1998, the preview of the documentary was already being aired on Bravo. The graduates hadn’t even finished filming. The Blair Witch Project would eventually gross over $248 million worldwide. What do you want people to know about your brand? Make it big. Get their attention. Where would your ad work best? See this example! Can you explain your product or service by appealing to the five senses? Can we see, hear, taste, touch or smell something to connect us to your brand? 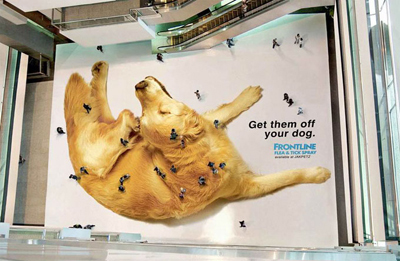 We encourage you to view more Seriously Fun guerilla marketing examples.